陈科洛, 张廷山, 梁兴, 张朝, 王高成. 滇黔北坳陷五峰组—龙马溪组下段页岩岩相与沉积环境[J]. 沉积学报, 2018, 36(4): 743-755. CHEN KeLuo, ZHANG TingShan, LIANG Xing, ZHANG Zhao, WANG GaoCheng. 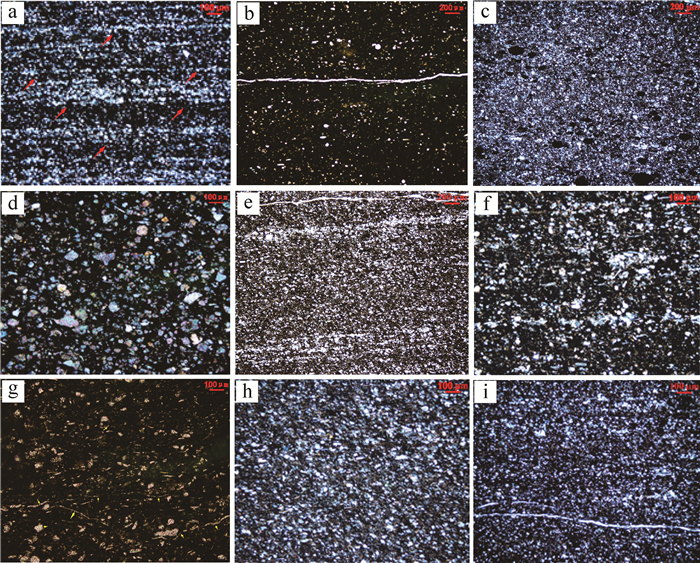 Analysis of Shale Lithofacies and Sedimentary Environment on Wufeng Formation-Lower Longmaxi Formation in Dianqianbei Depression[J]. ACTA SEDIMENTOLOGICA SINCA, 2018, 36(4): 743-755. Abstract: Multiple sets of marine shales sediment in the Dianqianbei depression lead to a meaningful study area for marine stratum in southern China. 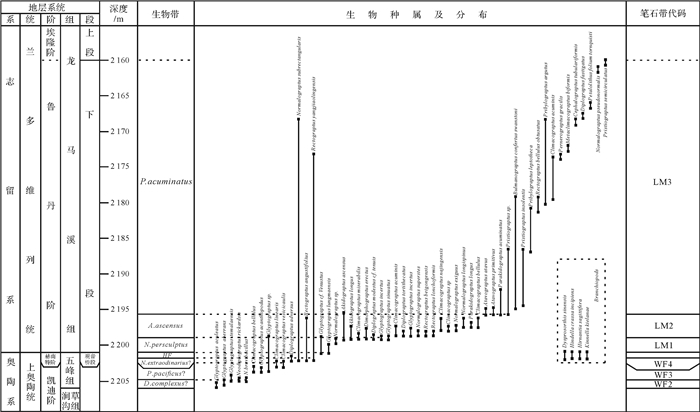 The Upper Ordovician Wufeng Formation and Lower Silurian Longmaxi Formation, especially the Wufeng-Lower Longmaxi Formation considered as high-quality source rock has been raised much attention. 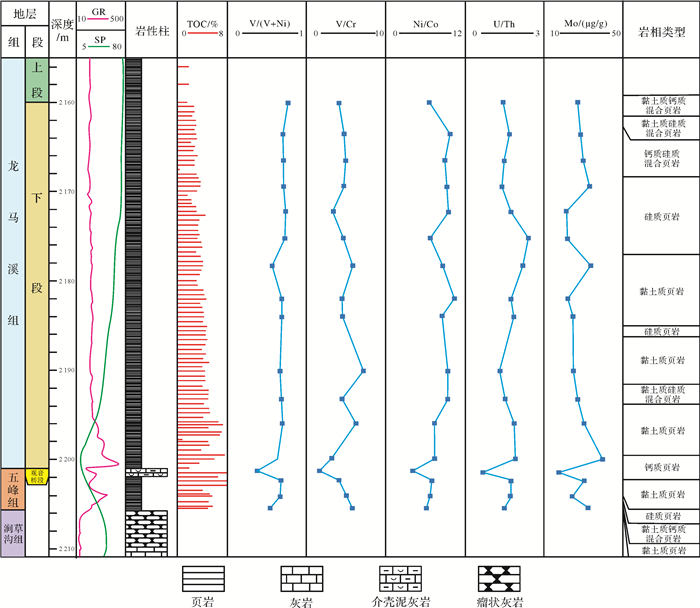 We classified the shale lithofacies and analyzed the environment by cores observation, thin section identification, XRD and geochemical indicators of trace elements. Six types of shale lithofacies are classified, including siliceous shale, clayey shale, calcareous shale, clayey and siliceous shale, clayey and calcareous shale, calcareous and siliceous shale. Among the six types of shale lithofacies, TOC are richer in the siliceous shale and clayey shale than other four types. V/(V+Ni), V/Cr, Ni/Co and U/Th show Wufeng-Lower Longmaxi Formation sediments in the conditions of low energy, sluggish water flow and constrained sea water, which matches deep shelf. 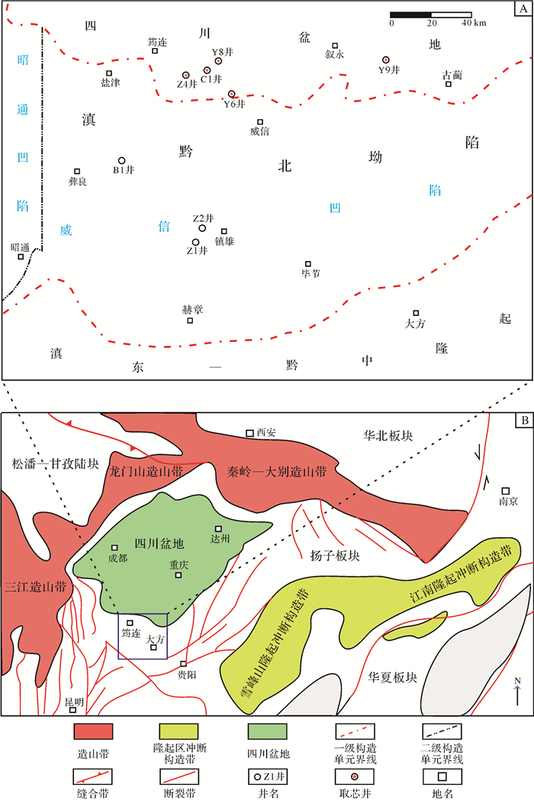 Mo content in Dianqianbei depression is near to the content in Sichuan Basin. 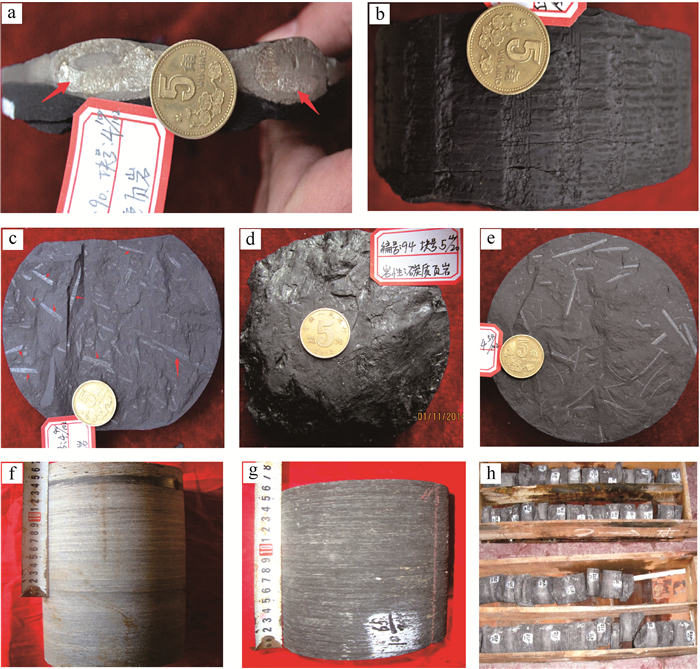 Transgressions happen in early stage of Wufeng and Longmaxi, which lead deep shelf plays a vital role in the sedimentary environments. Anaerobic environment of low energy, sluggish water flow, constrained water condition and rapid transgression are essential in the richness and preservation of organic matter. Calvert S E, Pedersen T F. Geochemistry of recent oxic and anoxic marine sediments:implications for the geological record[J]. Marine Geology, 1993, 113(1/2): 67-88. Algeo T J, Maynard J B. Trace-element behavior and redox facies in core shales of Upper Pennsylvanian Kansas-type cyclothems[J]. Chemical Geology, 2004, 206(3/4): 289-318. Meyer E E, Burgreen B N, Lackey H, et al. Evidence for basin restriction during syn-collisional basin formation in the Silurian Arisaig Group, Nova Scotia[J]. Chemical Geology, 2008, 256(1/2): 1-11.